Worthington, MN- Making an impact begins with volunteers and people willing to role up their sleeve to give a special gift. Sanford Worthington will be offering an opportunity for community members to donate blood on Thursday, May 2 from 10:00 am to 1:30 pm and 3:00 pm to 6:00 pm. Donations will directly save the lives of patients at Sanford Worthington. Donors must be at least 17 years old (16 years old with a signed parent consent form), weigh 110 lbs or more and be in good general health. It is recommended that a person eat and drink plenty of fluids prior to donating blood. Please bring an ID with you at the time of donation. For more information log onto www.cbblifeblood.org, call Community Blood Bank at 1-877-877-3070. 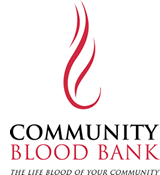 Community Blood Bank is not affiliated with other blood bank organizations and takes pride in being a self-sufficient organization, thanks to the generosity of our local blood donors.